The second The General’s Son starts off much as the first did. Our hero, Kim Do-han, is released from prison in the Mapo-gu district of Seoul by the short, mustachioed Korean detective who seems to have it out for him. The only difference between this and the last installment’s opening is that instead of being a poor kid living under a bridge, released with nothing and facing an uncertain future, now he is a gang boss and he is welcomed by his minions and the citizens of the neighborhood. He is adored by all, a foreshadowing of his successful later life in politics. Whereas the original film indulged in delightful world-building, guiding us through a gorgeous period set of the Mapo-gu district and its myriad of colorful characters, the sequel jumps right into the plot. Previously the focus was on Kim Do-han’s rise but now he is already on top. The same gang conflicts arise here but while the action and plot moves thick and fast, it seems deliberately contrived though never complicated. Actually it could be seen as somewhat prosaic, the story details lots of gang to-ing and fro-ing for the sake of inserting ever escalating brawls. Make no mistake about it, The General’s Son 2 is primarily about fisticuffs, which is both an asset and a hindrance. Due to this fixation on sprawling fight scenes, a lot of the film doesn’t make sense. The love interests arise out of nowhere and are quickly forgotten about, and they are briefly tacked back onto the narrative here and there to patch the plot together. 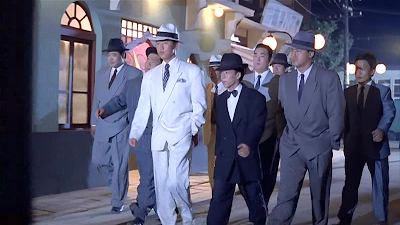 The unification of the various Korean groups against the greater ill of the Japanese is all but gone, and the main arc pitting Kim’s gang against the powerful Yakuzas adds no agency to the narrative as it is just an expansion of the same sotryline from the first film. 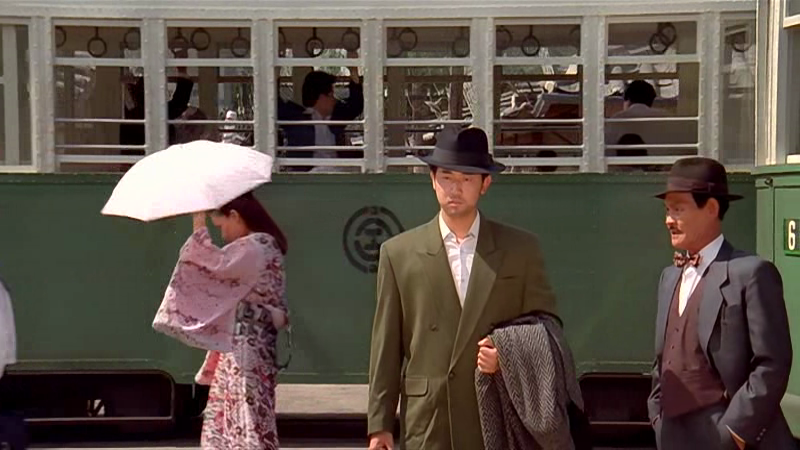 Some scenes add absolutely nothing to the narrative, for example in one near the end of the film a young man pays for his meal and leaves a bakery, he is then accosted by two of Kim’s goons who tell him to hand over his cash. He refuses and one of them punches him, he then skillfully beats them up, runs away, and never appears again. It adds nothing to the narrative and actually gives the impression that a new character has been introduced. In the end the only interesting thing about it is that the role is played by a very young Jung Doo-hong who will be recognizable to Korean film aficionados as the famed stunt director who has choreographed and starred in many of Ryoo Seung-wan’s films as well as staging the martial arts for a number prominent Korean films in the last 15 years. Just as in the first, the loud sound effects in the fight scenes are very distracting though with time you do get used to them. What bothered me more was the use of soft focus on the woefully underwritten female characters, some of the strangest and most inexplicable love interests I have come across in cinema. It seems that Kim Doo-han, as well as being “Korea’s best fighter”, a patriot, and a local hero, was also quite the ladies man, or so this series of films seems to suggest. The use of soft focus on the female characters is so pronounced that it is nearly blinding. 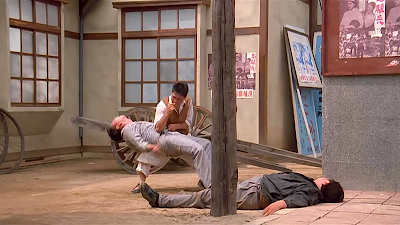 This time around Im does not go to great lengths to add any historical gravity to the film, instead he unabashedly crafts a straight martial arts and gangster picture. 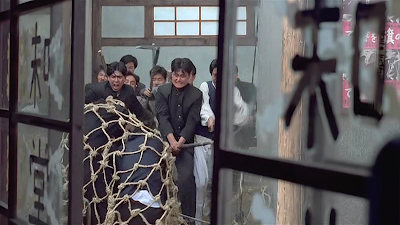 Kim Doo-han has already been established as the hero so after his exit from prison Im purposefully refrains from using him in fight scenes since, as is often the case with martial arts films, you have to work up to the big boss, even though in this film he is the protagonist and not the antagonist. The fights start out with Kim’s small entourage, who I don’t believe were in the first film, duking it out mano a mano with low level aggressors before quickly all being involved in a brawl at the same time. Then we expand from the unit and the scale of the fights increases more or less exponentially. It’s perfectly preposterous and some of the stunt work, such as a perfect somersault down a flight of stairs two beats after a light knock to the shins, is hilarious, but the sheer enormity and fake grandeur of these sequences are a lot of fun. Many Korean filmmakers like to go all out. 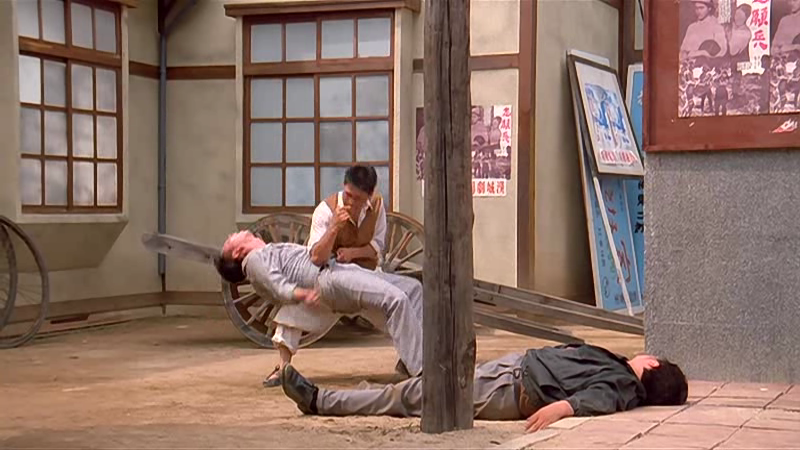 After seeing so many mass fights scenes in Korean films, such as Attack the Gas Station (1999), Kick the Moon (2001), and The City of Violence (2006), it’s good to know that the root for these can in fact be traced back to older Korean films and not just Hong Kong action pictures, though admittedly this film would have been inspired by them also. 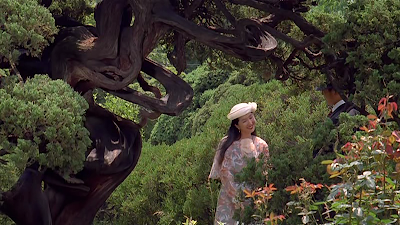 Aesthetics resolutely win out in The General’s Son 2 and narrative plays only a small part just like in Lee Myung-se’s stunning Duelist (2005), though this is a far less ambitious project. In the end, see this one for the fights, we got all the story we needed out of the first one.